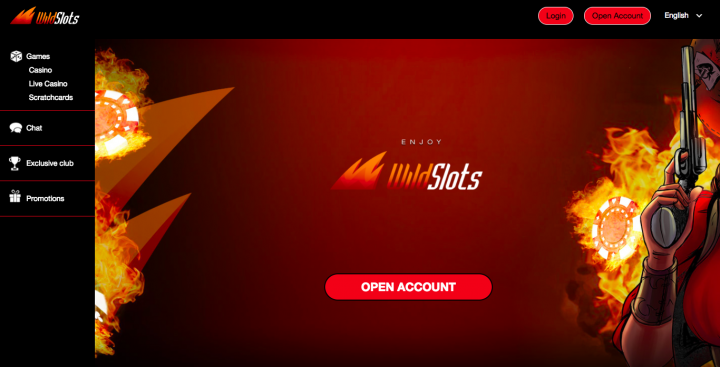 WildSlots is an online casino that has only been around since 2016 but is already making big waves in the online casino world thanks to its vast array of amazing online slots as well as some superb welcome bonuses. The logo of the casino is a bunch of bright orange and red flames. It is eye-catching and unlike any other online casino you have visited before. The site features a wonderfully designed interface that makes it super easy to navigate around. The main aim of this casino is to bring better and bolder online gaming to each and every player. A fantastic welcome bonus as well as 100 free spins. Now that is some way to kick off your WildSlots journey! It is worth mentioning that your first deposit needs to be a minimum of £$€20 in order to activate the welcome bonus and receive the 100 spins. You will also receive the Day 2 Reload Bonus the very next day after you have created an account and made a deposit. WildSlots requires players to wager a minimum of 35 times the sum of the welcome bonus before you can withdraw any winnings. So if you deposit £$€45 then you will get £$€45 free and you will need to wager at least £$€1,575 before you can withdraw any bonus related winnings. The Welcome Bonus needs to be wagered within 21 days of being credited to your account. For Free Spins, If you are from a NetEnt restricted region then you will receive 100 spins on Fruity Friends instead of 100 spins on Wild Wild West: The Great Train Heist. Also, make sure to use your Free Spins as soon as you get them as they will expire within 1 day from being received. WildSlots is committed to keeping players happy at all times and they do this by offering a lovely 50% monthly reload bonus up to £$€100 every month. In order to receive this bonus, you must make a deposit during the first 7 days of any new month. Unfortunately, this bonus is not available to players from the UK. From the moment you start playing games with WildSlots, you will begin to earn reward points. These points help you climb the various levels of the exclusive VIP program. For every £$€40 you wager in real money mode games, you will receive 1 reward point. The more you play, the quicker you level up. Each level of the VIP program contains exclusive features that become available as soon as you earn enough reward points. The features include exclusive cash back offers, upgraded bonuses, higher deposit limits, free games, and even your own personal account manager. Players are spoilt for choice when it comes to choosing a game to play with this casino. WildSlots is home to hundreds of the very best online slots. So if you fancy going on a quest for El Dorado’s gold in Gonzo’s Quest or aiming for a huge jackpot win in Divine Fortune then WildSlots has a game to suit each and every player. The games are supplied by software giants such as NetEnt, WMS, NextGen Gaming, and Microgaming. WildSlots also features a fantastic Live Casino section which caters for players who prefer a more bricks and mortar feel when visiting an online casino. The Live Casino games are provided by Evolution Gaming and each game is presented in stunning HD graphics and are hosted by some of the most friendliest Live Dealers around. Mobile players will be happy to know that the casino is fully optimised for smartphone and tablet devices. The site loads extremely fast and each page is fully responsive. It is a far more interactive experience navigating the site using a touchscreen rather than a clunky mouse and keyboard from a desktop computer. WildSlots offers an unbeatable customer service as the support team is on hand to assist players 7 days a week from 8am until 1am CET. You can contact the team via email and expect a speedy response but if your issue is more urgent then you can chat to the team directly via the Live Chat program. The casino is also home to an extensive FAQ section that outlines the most common questions users have about the casino. Even though WildSlots is a relatively new casino when you compare it to more established casinos. It is real easy to see why players are flocking to this site in huge numbers right now. The casino offers an exceptional welcome bonus package, a nicely varied selection of exciting slots, and runs some highly innovative promotions that keep players coming back for more and more. The site features a fresh and colorful design and is super easy to navigate especially when using a mobile phone. If you are looking for an online casino that offers plenty of entertainment with a bit of a wild edge then head on over to WildSlots now!